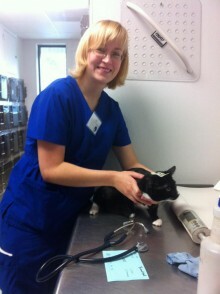 Maddie’s® Shelter Medicine Program is now accepting applications for 2013 Shelter Medicine and Spay/Neuter Externship Travel Stipends! All applications are due Friday, November 16, 2012! Thanks to the UF Student Chapter of the Association of Shelter Veterinarians, we are now accepting applications for Spay/Neuter Externship Travel Stipends for 2013. Five stipends of $1000 are available to support the Maddie’s® Spay/Neuter Externship Program. Preference will be given to students in the Certificate in Shelter Medicine Program if there are insufficient funds to support all of the applications. Contact Lara Lookabaugh, Student Services Coordinator, with any questions!